Several days after Centrica announced that it had agreed to import gas worth 10 billion from the United States, figures published by the British Government revealed that the UK’s carbon footprint widened in 2012. The data will no doubt upset environmentalists who have been campaigning for a greener Britain. The news should also unsettle voters who believed David Cameron’s pre-election pledge to preside over the UK’s ‘greenest ever’ government. 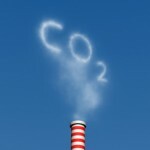 According to the data, carbon dioxide emissions in the UK increased by 4.5 per cent between 2011 and 2012. The Coalition’s reliance on coal-fired power stations has been cited as one of the principal causes of the rise. Activity in Britain’s coal industry has risen by 31 per cent since the General Election three years ago. Despite the publication of evidence to the contrary, Secretary of State for Energy and Climate Change Ed Davey argued that the UK was very much on course to achieve its environmental objectives. Davey reasoned that the UK’s legal obligation to reduce emissions by 2020 will still be met because carbon dioxide emissions are 26 per cent lower now than they were in 1990. The Energy and Climate Change Minister did admit, however, that the “line on the graph is unlikely to be totally straight” due to variations in energy supply and weather conditions. Speaking to the Guardian, Davey added: “The UK’s continued shift to low carbon will be accelerated by the Green Deal to help householders overhaul their properties and by our energy bill’s reforms to the electricity market to bring on investment in renewables, new nuclear and CCS [carbon capture and storage]”. Last week, Prime Minister David Cameron welcomed a deal between Cheniere Energy Partnersto and Centrica, which owns British Gas. The ten-year agreement will ensure that around 2.5 billion cubic metres of LNG (liquefied natural gas) is piped from the US to the UK every year. In contrast to the UK’s reliance on fossil fuels, Scotland produced enough electricity from renewable sources in 2012 to power its entire housing stock. Households can make an important contribution to reducing the UK’s carbon footprint by investing in renewable technologies such as ground source heat pumps and solar PV panels. Installing loft and cavity wall insulation can also reduce reliance on gas central heating during the colder months.